We all adore our pets, and because we love them so much we sometimes choose to ignore, or don’t notice the ways we negatively impact their behavior and health. After awhile, certain issues like barking, begging, growling, and biting becoming a prominent issue in your household, followed by noticeable health problems. Here are some things that many experienced and educated pet owners or canine experts will often look down upon. It's also something for you to reconsider the next time you’re having dinner, adopting a new puppy raise, or taking your pooch out for a walk. If we're honest, we can all admit that we've accidentally encouraged bad behavior in our dog due to ignorance or succumbing to those puppy eyes. It's still common among pet owners, and usually happens when we feel like we’re doing something harmless. Typically, this means when your dog begs hard enough, you finally give in and let them have some of your table scraps or that extra serving of dog treats. Or when your dog is barking at someone, you gently say “it’s okay” in hopes of calming them down. Since many of us feel like canines are our babies, we give them baby-like treatment when we need to be more firm. In truth, our pups actually enjoy a structured environment, they thrive from it and need to know where their place is in the family. Without giving your dog a stern “No!” every once in awhile, they’ll assume that they’re the leader and you aren’t. Pay attention to the way you interact with your pet, and figure out if you could use some education and training on dog training, too. Harking back to the above point, another reason you shouldn’t give in to your dog's begging is because it could become a problem for your pup's health. Potato chips, fried foods, and snacks that are high in sugar can cause serious health issues in your pet. If you notice that your dog has had an itchy rash that won’t go away, an ear infection that keeps coming back, or hot spots that they just won’t stop chewing, it’s possible that the food you’re giving them is contributing to the problem. Even though you probably have a friendly, fun-loving pup who wants to meet everyone, these feelings may not be reciprocated by other humans or dogs. If you’re walking through the park and see another pet on a walk with their owner or playing with a ball, in most cases you should just give space and leave them be. Although you may simply want to be another friendly dog lover, or meet and greet, there’s always the off chance that two strange dogs won’t get along right off the bat. It’s better to carefully arrange a play-date with someone who is familiar. A person who doesn’t know you or your dog may not react in a good way either. The last thing you want is for your pup to get hurt in a fight with another dog, who you thought would be friendly. Not to mention, you never know what kind of illness a strange dog could be carrying. An exception to this might be (but not always) a regulated dog park or other canine friendly locations where socialized dogs are able to roam freely and interact safely, and are more likely to be vaccinated and not carry diseases like parvovirus or distemper. Most of us groom our dogs religiously, but we also need to pay attention at specific needs of each individual dog. Each breed is unique, and therefore has its own requirements for health and hygiene. For example, double coated dogs require different grooming care and long haired breeds need more regular brushing and general grooming than short hair breeds. Otherwise, hair grows into their eyes, blocks their ears, and collects urine around the private areas. Similarly, some dogs have nails that grow much faster than others and need to be trimmed accordingly. They may have different face grooming or paw grooming requirements too. So have a good look at your dog and ask whether or not they’re getting everything they need from you in terms of their health. Consult with a professional pet groomer if you have to. This is more often seen in smaller dogs, but retractable leashes – while very comfortable and convenient for a pet owner – just aren’t safe and are frequently to blame for dogs who end up severely maimed or killed. Additionally, retractable dog leashes can seriously hurt dog owners too through rope burn or even by cutting through the skin on your finger. Data collected as far back as 2007 shown that 16,564 people treated for injuries were related to dog leashes. Over 10% of those cases involved children 10 and younger and over 23% involved injuries to the finger. Due to this, new laws banning retractable dog leashes are now coming out. In general, a regular rope and handle leash is your best bet and much safer than a retractable leash, and gives you far more control. It won’t malfunction and it’s highly unlikely that a thick rope or leather lead will break. What's even better than that is a no-pull dog harness which has even been scientifically proven to be safer for dogs and owners than any leash. As the year goes by we get busy, and we barely have time to get ourselves to the doctor for a yearly checkup. Since our dogs age faster than we do, their health deteriorates much more quickly as well. This is why it’s important to have a professional take a look at your pet on a yearly basis, at the very least. 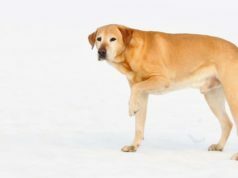 It doesn’t take very long for dogs to develop medical issues and even emergency health problems like cancer, diabetes, bad hips, glaucoma, and an array of other serious conditions. Prevention is better than treatment (and it's cheaper, too). Your vet may be able to recommend what kind of supplements or probiotics your dog will need as they move into their senior years to prevent specific issues. Eventually, your pup is going to have stiff joints, some hair loss, and might even lose some of their vision or hearing no matter how well you think you’re able to care for them on your own; you need a professional opinion and a preventative treatment plan well in advance, before it's too late. Your dog might be a guardian angel for your children, and watching over them might given your pet a sense of joy and purpose. However, small children and infants should never be left alone with canines due to safety concerns. And any kid must be taught about how to behave around dogs. The truth is, dogs are still animals and might be unpredictable, and smaller children don’t completely understand how animal behavior works if they haven't been taught. Kids themselves are still learning about what is and isn’t appropriate in the human world. If left unsupervised, they’re more likely to hit, kick, bite, or pull a dog’s tail in a harmless attempt to be playful, but a dog might only have so much patience. Science has shown that aggression in dogs is most often observed around kids, too. Additionally, each dog will respond differently to a new baby that is brought into the home. The way they smell and sound is very unfamiliar, and some pets don’t realize that this is just a tiny human, not a squirrel or small prey animal. Keep everyone safe, never leave pets and children alone and teach everyone how to interact with each other.